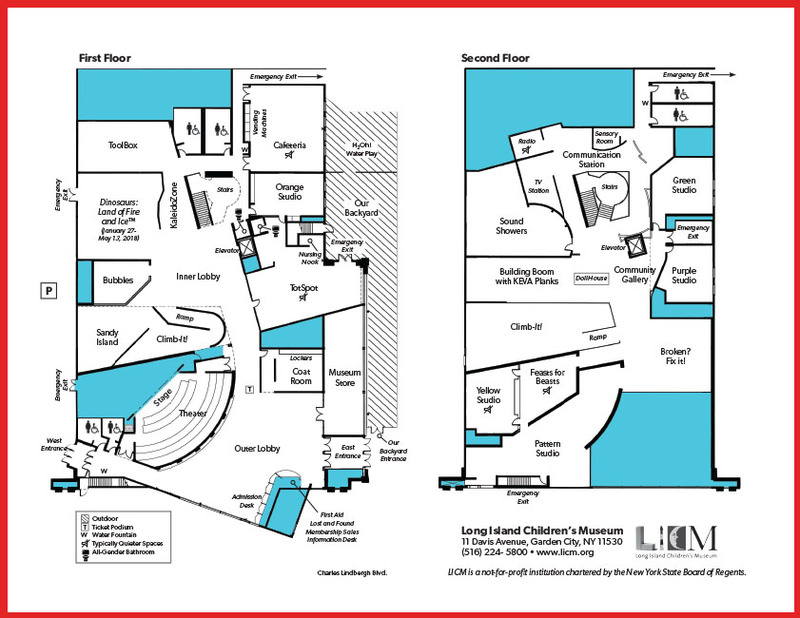 The needs of all children and families are at the center of LICM4all, a Museum-wide initiative to reach, engage and better serve visitors who are neurodivergent and those with physical challenges. We host exclusive bi-monthly Museum time for families with children who are neurodivergent or have physical challenges. Friendly Hours include alterations to Museum lighting and sound. Pre-registration for this event is required as attendance is limited. Registration is now availible for the April 27th Friendly Hours event. LICM brings the live theater experience to children and families with a range of sensory, learning and communication differences in an exclusive environment. Past sensory-friendly performances include Journey to Oz, Happy as Clams, Elephant and Piggie's: We Are in a Play and The Big Bolt! This dedicated room provides a respite for children with neurodivergences who are feeling anxious or overwhelmed during their visit. The inclusive space includes visual, auditory and tactile resources to create a quiet and calming environment enabling children to self-regulate and return to play. Assistive Devices available for visitors include sensory backpacks, noise reducing headphones, weighted lap-pads, fidget items and PCS cards. In addition, wheelchairs are available at the Information Desk for visitor use throughout the Museum. *NEW* LICM4all tours are field trips created with the needs of self-contained classes in mind, providing flexibility and accommodations to provide a comfortable and welcoming environment for your students. See LICM4all tour details. Sensory-Friendly Theater brings the live theater experience to children and families with a range of sensory, learning and communication differences in an exclusive environment. Past sensory-friendly performances include Journey to Oz, Happy as Clams and Elephant and Piggie's: We Are in a Play. Wheelchair spaces and companion seats are sold on a first-come, first-serve basis for all LICM performances through the LICM Box Office. Please call (516) 224-5868 to secure tickets. ASL Interpreted Performances bring the live theater experience to children and families who are Deaf or Hard-of-Hearing with a certified ASL Interpreter. See past ASL interpreted performance. We provide one complimentary admission for a one-to-one aide who is assisting a paid visitor or member who requires special assistance during their visit. Cast members meet audience before show to introduce elements of the show that may be unfamiliar to them and talk and pose for pictures after performances. Our new, free LICM4all app enables visitors to preview exhibits, create a customized schedule and view tips for each gallery so you can work together to customize a visit that supports your family’s interests. Bonus: enjoy Museum-based games as part of the app. The free app made in partnership with Infiniteach is available for download for both iPhone at the App Store and Android on Google Play Store. Our new app lets visitors prepare for their day through social guides, interactive itineraries, communication cards and fun games. Through LICM4all, we provide resources for families of children who are neurodivergent to enable them to become stronger advocates for their children, and we work to create connections and understanding among all families in the community. LICM4all is developed in collaboration with an Advisory Committee comprised of professionals and organizations in the community serving these populations. Have a question or suggestion on LICM's accessibility offerings? Call Beth Ann Balalaos at (516) 224-5853 or email babalalaos@licm.org.